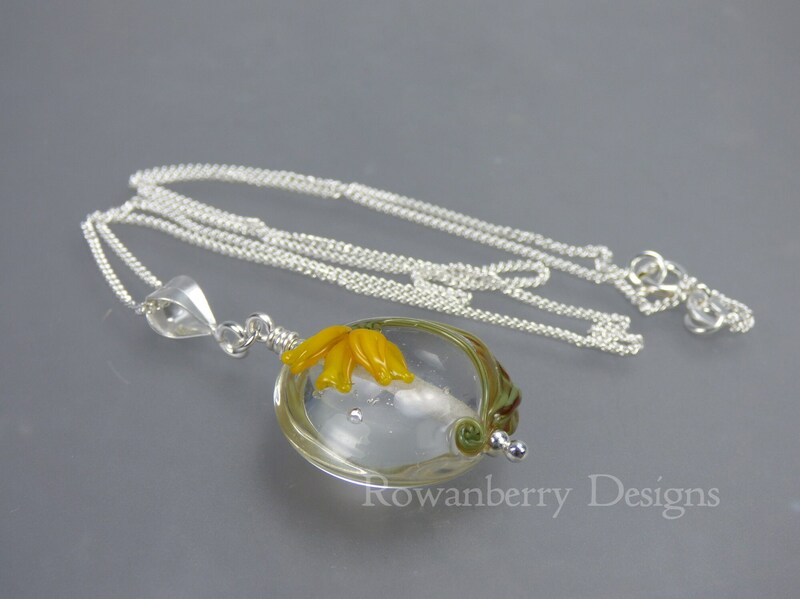 The pictures are properly picking this up but the base glass is a lovely lavender/lilac that changes depending on the light. 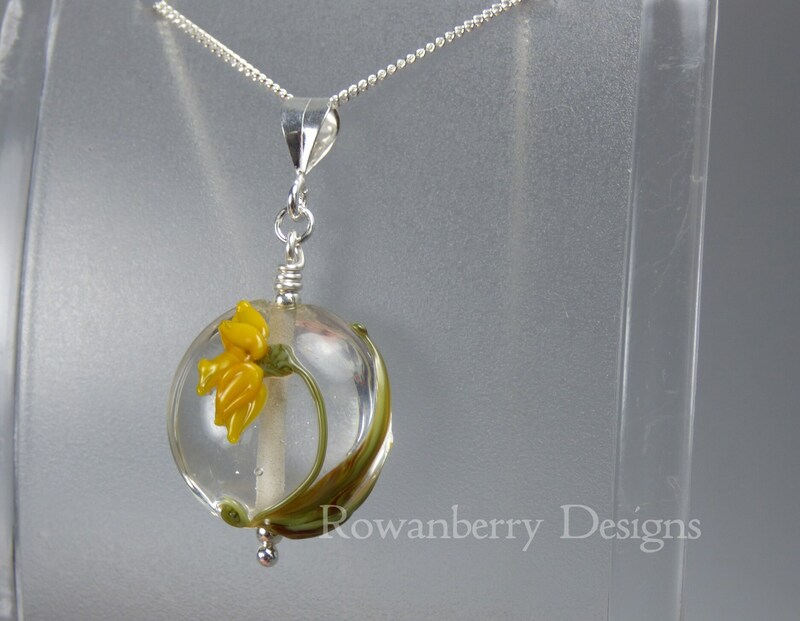 This is a pendant that I made with my own handmade lampwork glass bead with a daffodil motif. 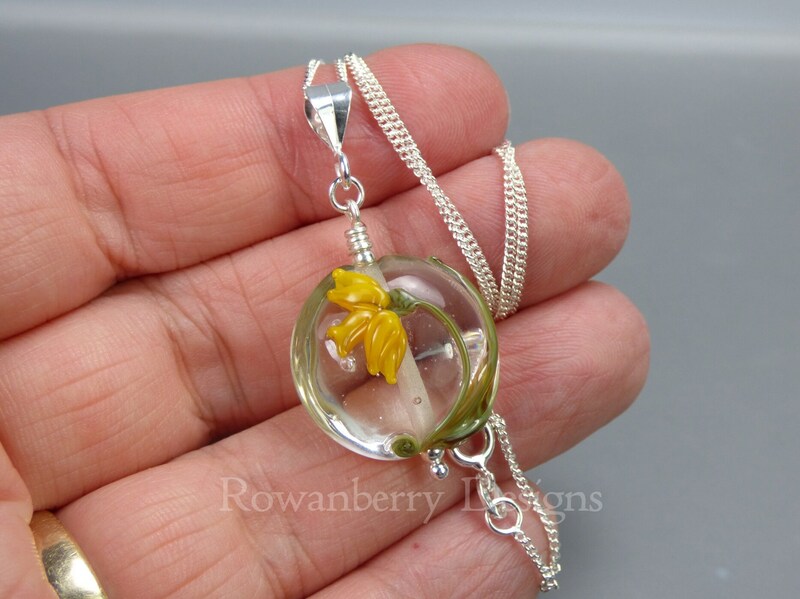 It is teamed up with 925 sterling silver findings and an optional 18 inch chain. 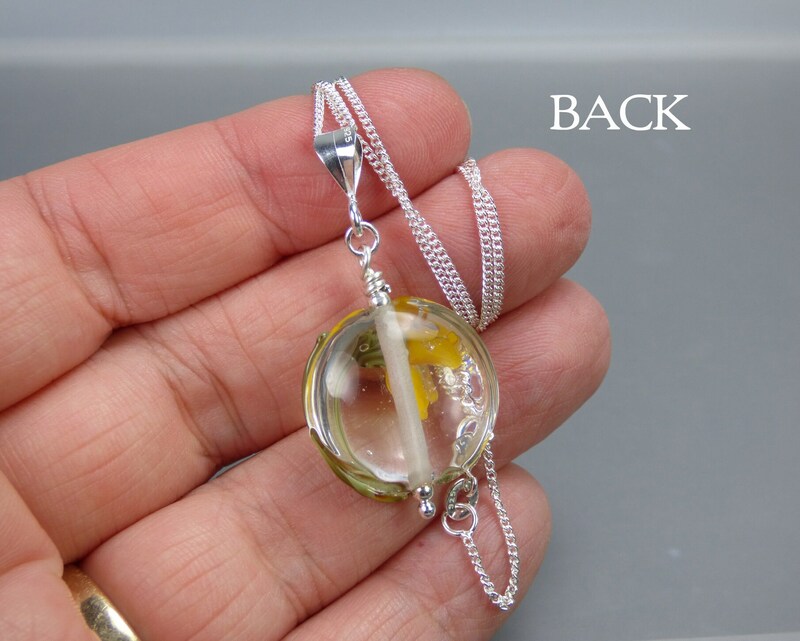 The pendant measures approx 42mm from the top of the bail, the bead is 20mm across. 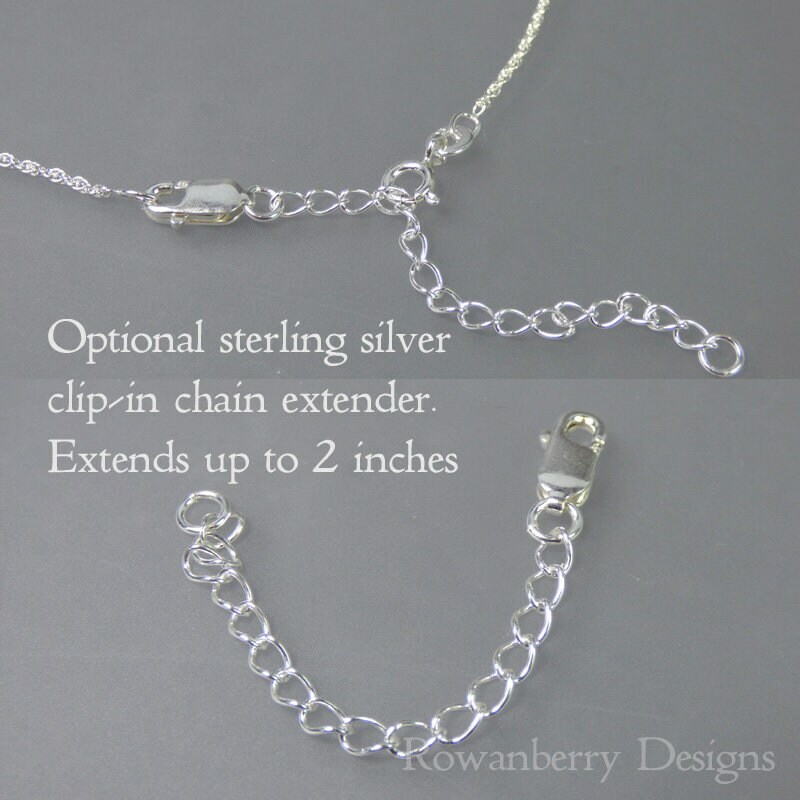 A "clip-in" extender chain giving an extra variable 2 inches to the chain is available also as an optional extra. 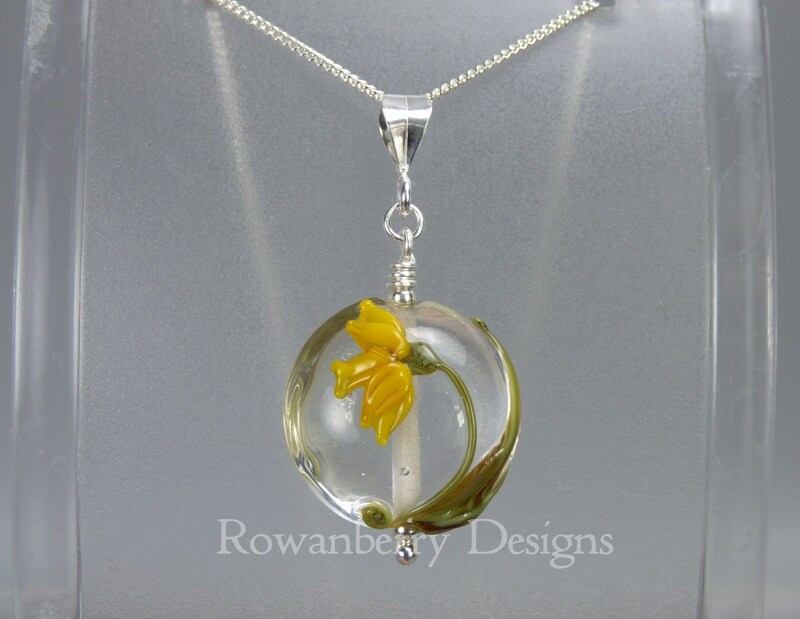 The bead has been annealed in a digitally controlled kiln for strength, safety & durability.